That´s actually the title of an ongoing exhibition at the Ginza Graphic Gallery in Tokyo, featuring works of 2005 ALMA laureate Ryôji Arai. 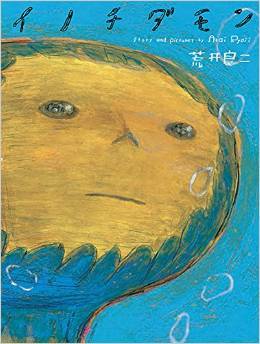 The exhibition includes original drawings created from Ryôji’s latest picture book Inochi da mon (approx. That’s Life, Foil 2014), which is a story that takes readers on a journey noticing of the important things that can easily go overlooked in everyday life. 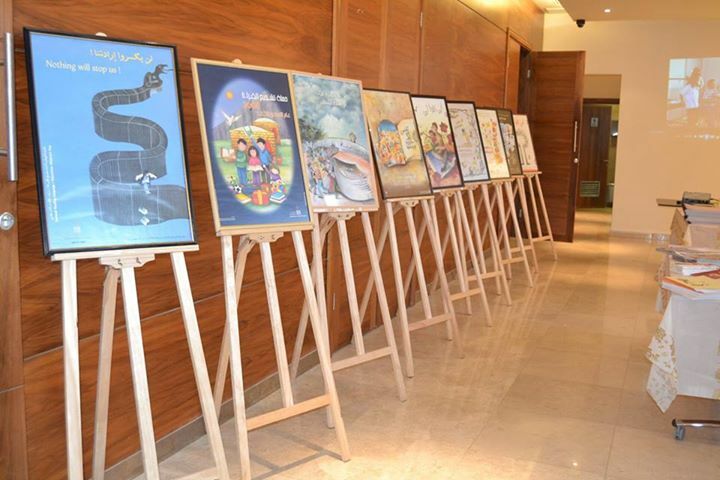 The exhibition also includes other new works and imaginary book covers created in homage to books he likes. The GGG also arranges a Gallery talk between Ryôji Arai and author Shinji Ishii, who has written a series of short stories about Ryôji and his traveling door (!!). 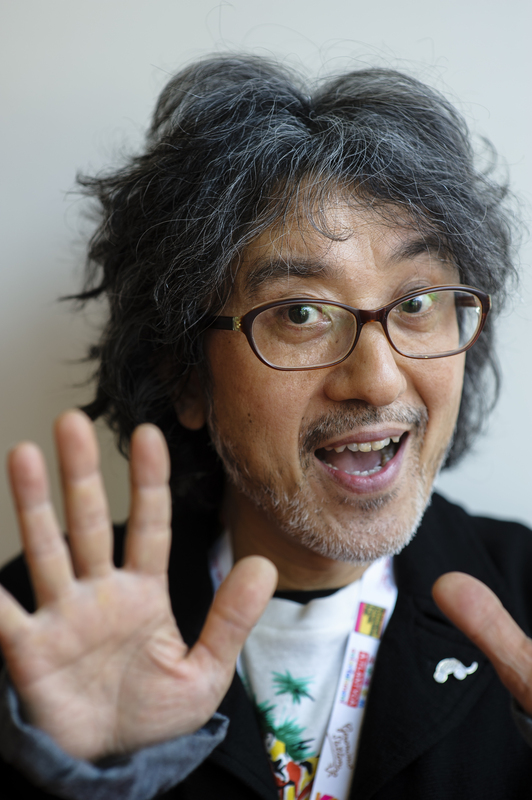 A volume dedicated to “gggBooks-113 Ryoji Arai” will also be published. 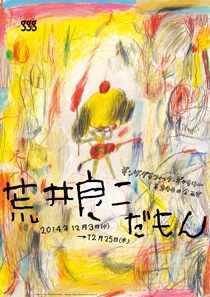 Inside the Mind of Ryôji Arai durates until December 25th. During the autumn, Ryôji Arai has had several engagements, among other things being appointed Artistic Director of the Michinoku Arts Festival, the Yamagata Biennale 2014. 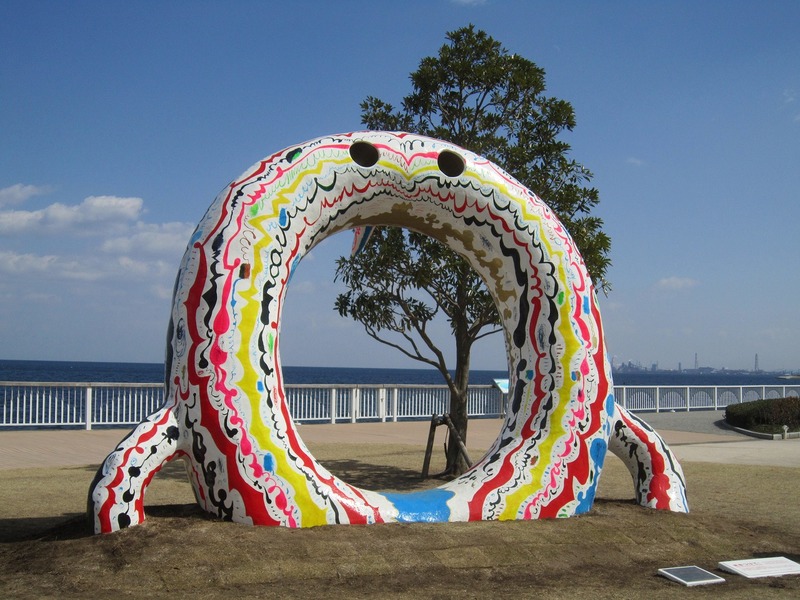 He has also created various art pieces for public art and created the opening illustrations for a popular drama series on the Japanese National Television, NHK. 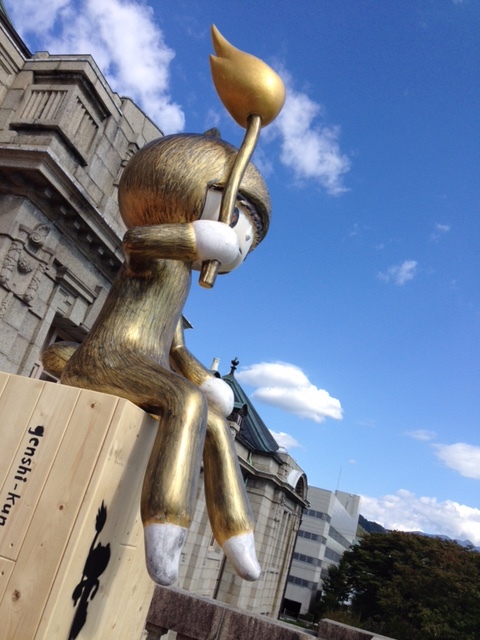 At Oita Prefecture, Gate Breathing In the Sun by Ryôji Arai. “A warm and peaceful celebration of the vision, despite all hardships.” Last week Tamer Institute for Community Education celebrated its 25th birthday, with the overall theme Words as tools for survival. 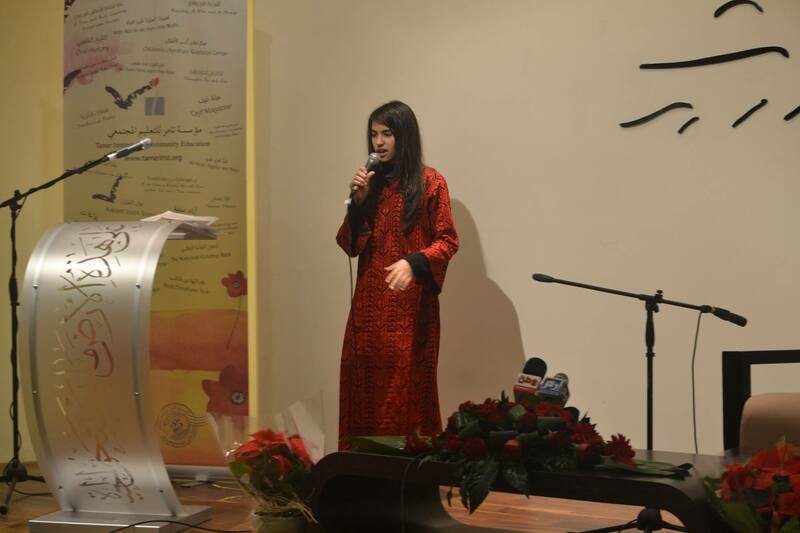 An extensive program attended by at least 170 writers, illustrators, librarians and talented youths took place at the Mahmoud Darwish Museum in Ramallah. Since 1989 the Tamer Institute has carried out reading promotion work for children and young people in West Bank and Gaza. It was founded to give children access to books and alternative learning as children’s and young people’s schooling, leisure time and lives suffered from the troubles in the area. The program included, amongst other things, a reading of a piece by a young Palestinian from Gaza Strip who is a member of Tamer’s writing team, and a speech by Ms. Abla Naseer, the Head of Board members of Tamer. The celebrations also honored the laureate of the 2014 Itisalat Award, Palestinian author and storyteller Sonia Nimer, whose book “Wonderful Trips in Mysterious Worlds” was published by Tamer Institute. 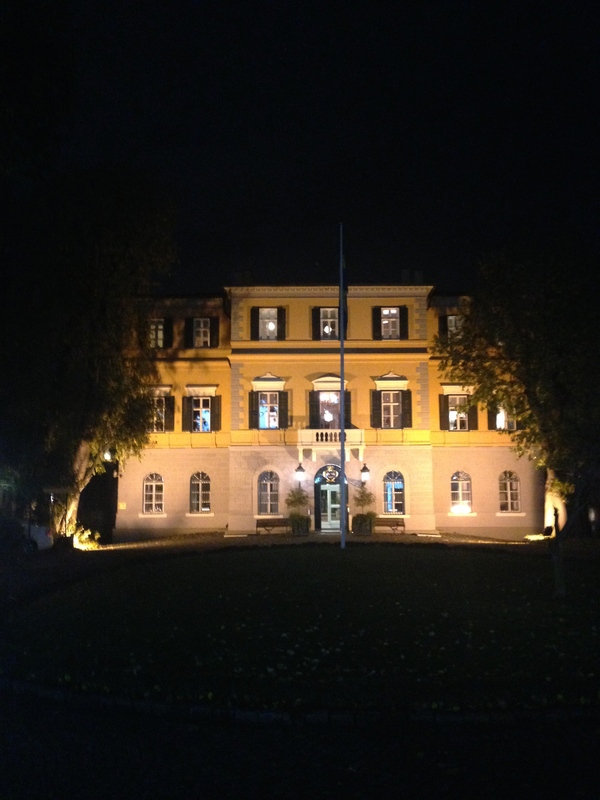 Link to Tamer Institute here. The staff of the Tamer Institute. 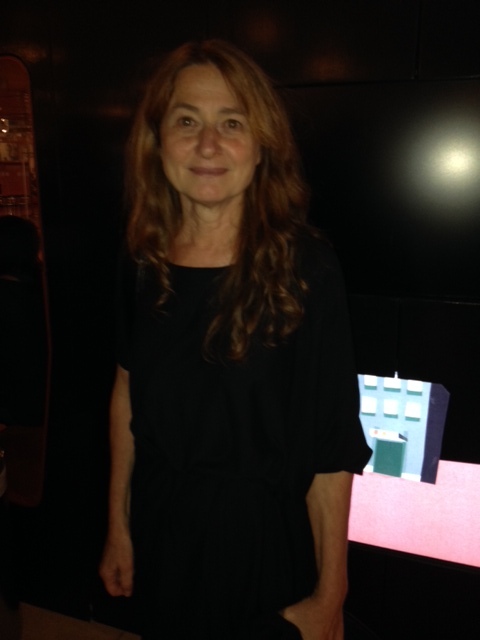 Sonia Nimer amused the audience with her imaginative and laughter provocative speech. Here surrounded by young adults. On Saturday December 13th theatre play The story of the little gentleman opens at Children’s Theatre of Charlotte, U.S. It’s based on Barbro Lindgren’s story The Story of the Little Old Man. “We’re thrilled to bring to our community this quiet alternative to traditional holiday fare,” says director Mark Sutton in an interview. “It’s a challenge and a great privilege as theatre artists to get the opportunity to tell such a story with so little dialogue. 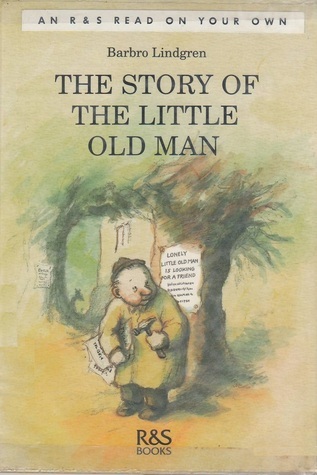 The story of the Little Old Man (first published in Sweden by Rabén & Sjögren in 1979, distributed in the United States by Farrar, Straus and Giroux, 1992) marked the beginning of Barbro Lindgren’s long-lived co-operation with illustrator Eva Eriksson. The book was also her first of many for the very young. 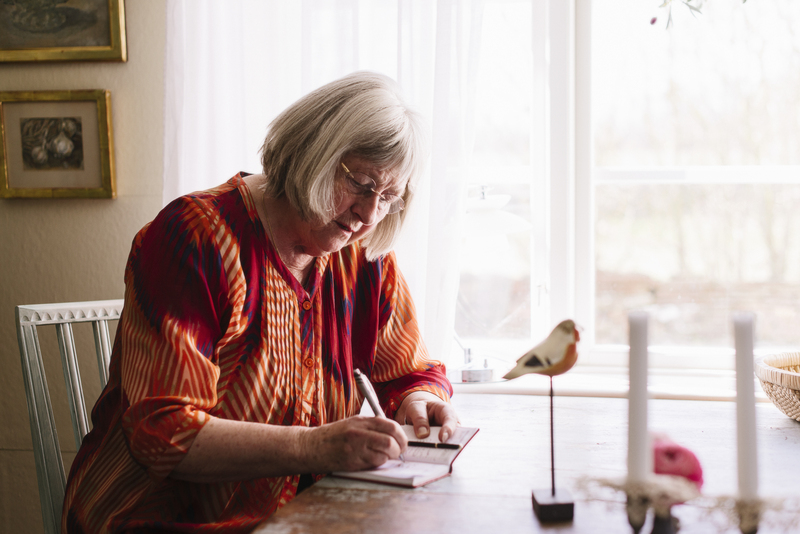 In it, we meet two figures to whom Barbro Lindgren would frequently return – a lonely human and a friendly dog. In this poignant tale of friendship, it is the dog, placing a cold nose in the old man’s hand, which assuages the man’s feelings of abandonment. 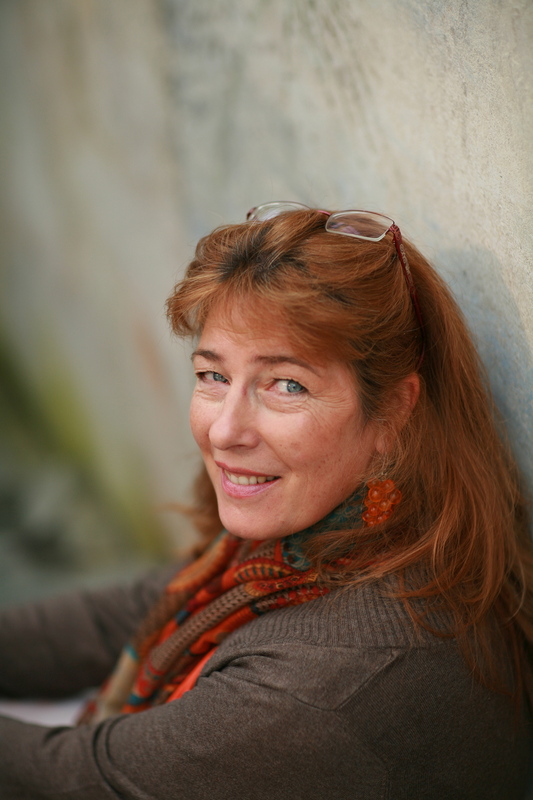 Henrika Andersson: How should we promote children’s love of reading? I have yet to run into a child who hates books. Parents who sit down with their child for a quiet read at the end of the day are remembered with joy and warmth. For most people, reading aloud is synonymous with happiness and a feeling of solidarity. So, when does the happiness end? When do these joint moments of reading stop? In most cases this happens when the child starts to read by himself and the school “takes over”. Reading becomes homework. Words and sentences must be plotted through, essays and stories are corrected with a red pen and become marked. And at the same time the moments of joy at home disappear – reading aloud is replaced with telly. In his thought-provoking book Som en roman – om lusten att läsa (approx. Just like a novel – about the urge to read) Daniel Pennac has described how most booklovers have discovered literature by reading, despite of something. We read books inspite of what we should and must do, we defy the world/our parents/time etc by disappearing into a book. I remember how important it was for me to find my own books, not the ones that was put before me or the ones I was supposed to read. And I especially disliked the tomes that I was supposed to give an account for in school or have a clear opinion on. Reading was and is something intimate and private, a thing between me and the sentences I mold and capture. Today, I have to steal time to be able to read, even though I should be doing something else instead. Efforts to promote the love of reading should be increased on all fronts. In Finland, as in Sweden, we should set the bar high to create another trend in our society, making reading attractive. Instead of it being mandatory we could encourage young people to read for many different reasons; sneaking away, to be comforted, to wallow or just for the joy of it. To read separate bits and pieces from various books just to find something appealing in the spur of the moment, is another tip. Never mind categorization of good/bad literature nor rules on how a book should be read. Talk about books and literature, act as role models and invest in festivals for children’s and young adult literature, book events for children, more library efforts and reading aloud when the lust for reading starts to drop off. The Swedish reading campaign “15 minutes a day”, which also was successfully tested in Finnish workplaces, is one of many ways to breathe life into literature. As for reading promotion activities, I look with envy at Sweden having a full-time employed Reading Ambassador and a Reading coach. 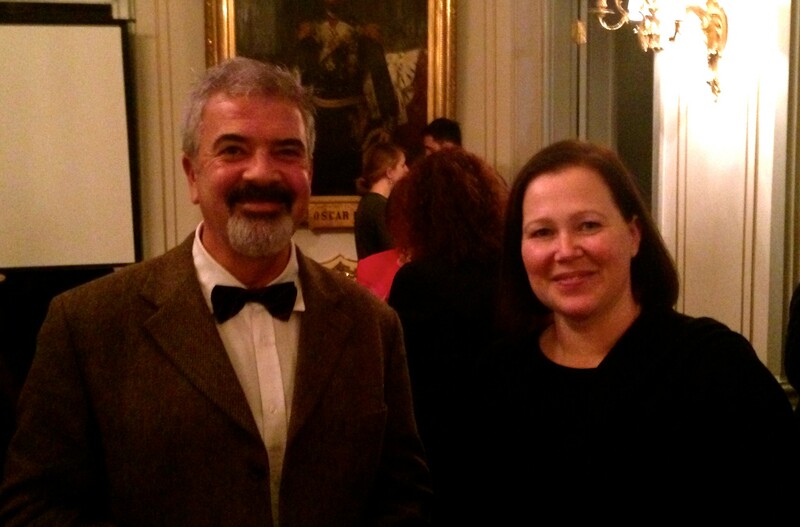 The Swedish Arts Council is a fine example that Finland is more than welcome to copy. So far, most of the reading promotion activities in Finland are on a grass root level, although we still are considered to be people of reading. But for how long? 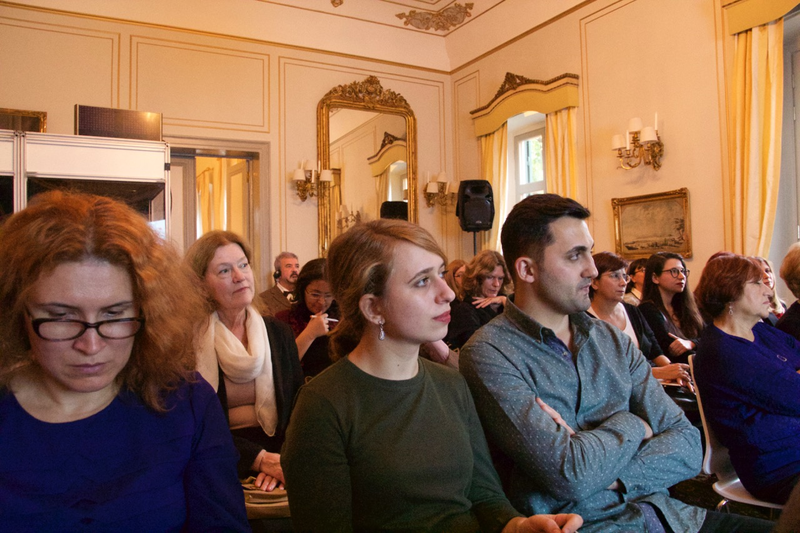 The Swedish Consulate General in Istanbul on Thursday hosted a presentation of Astrid Lindgren Memorial Award to coincide with the 25th anniversary of the United Nations Convention. Helen Sigeland emphasized the importance of the nominating bodies and Elina Druker, PhD in literature and jury member, gave a presentation of Barbro Lindgren. 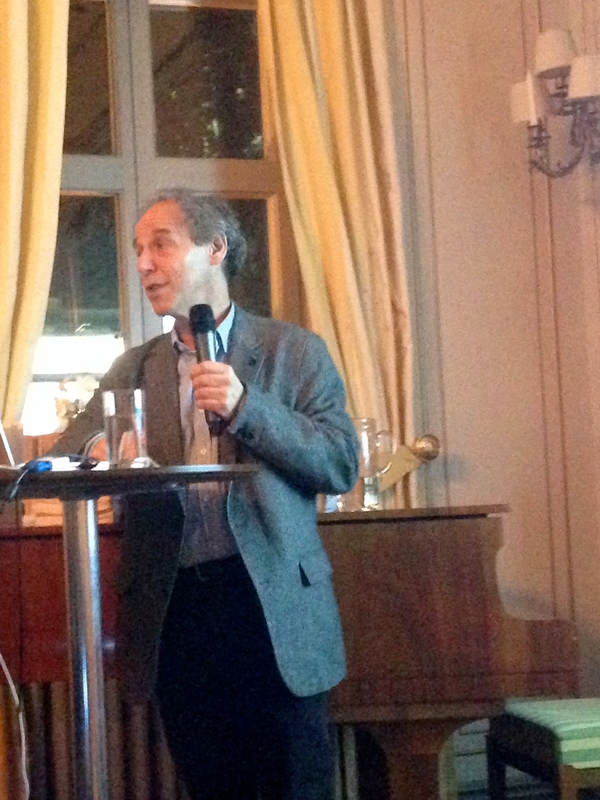 Prof and jury member Henry Ascher concluded the evening by talking about Astrid Lindgren’s humanistic values and the UN convention of the rights of the child. Invited to the event were reading promoters, librarians, teachers and representatives of writers’ organisations. Maybe some of the guests are future nominating bodies! Turkish illustrator Feridun Oral and Elina Druker. 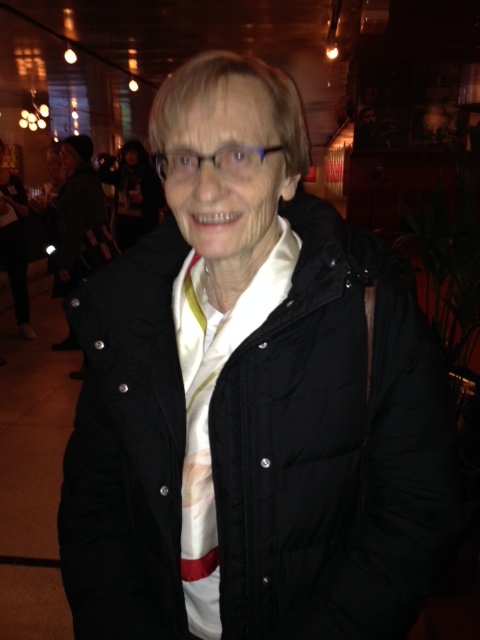 The Mauritz auditorium at the Film House was well attended when Swedish television aired the upcoming documentary about Astrid Lindgren’s life in a press preview on Thursday afternoon. Three one-hour programs were shown in a row, and members of the Astrid Lindgren family were present to answer questions from the journalists. The documentary makes it clear that there are traces of Astrid’s private life and what was happening in the world during her lifetime, 1907-2002, in her stories. Behind the documentary is director Kristina Lindström, who previously has made a documentary about the Swedish Prime Minister Olof Palme. – What surprised me the most is the fact that she constantly is so incredibly near the important issues of the time, much of it is eerily up to date today, and furthermore, how strong she was marked by what happened when she was 18 and became pregnant. 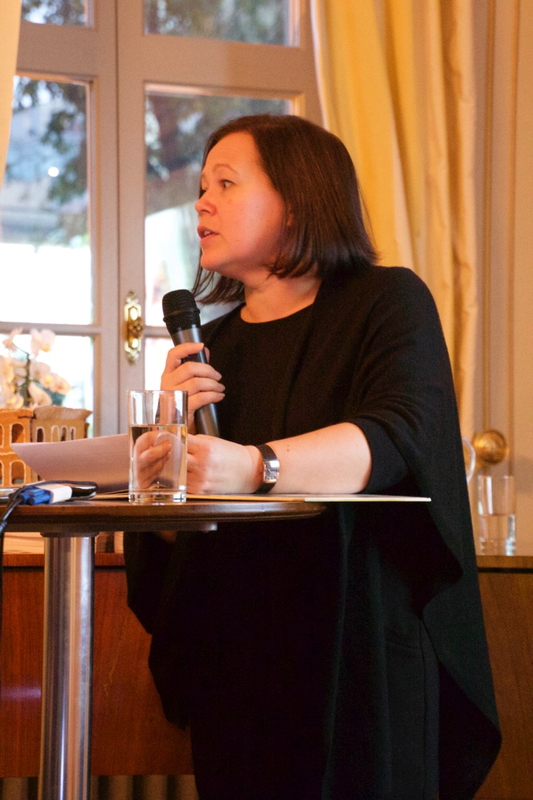 And as she said: “I had not become a great writer unless this thing with Lasse had happened”, says Kristina Lindström in an interview with Isak Klasson from Swedish Television. 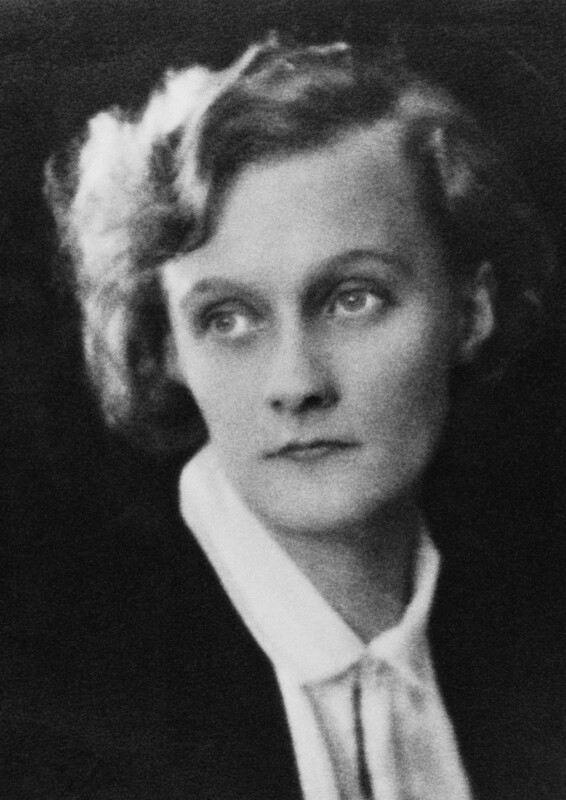 Astrid Lindgren grows up in a religious home in the countryside, becomes pregnant with the already married chief editor of the local newspaper where she works. A scandal. She gives birth to her son Lasse, who get to stay in foster care the first years. – This is really a women’s history, says Kristina Lindström. In many ways she represents women’s history during a century in Sweden. She became a person that the Swedish people regarded as the image of a precept, showing people how things should be done: “This is to do good, this is to do right”, while she in her own life did things that were not right according to convention. Kristina Lindström has made thorough research with the help of rich archive material, private photos, films, diaries and correspondence. The so-called war diaries dated back to the Second World War, written by Astrid as a young mother not yet being a world famous author, will be published by Salikon publishing house during 2015. The documentary about Astrid Lindgren’s life will be screened by Swedish Television on SVT1 December 25, December 28 and January 1st. Karin Nyman, Astrid Lindgren’s daughter. 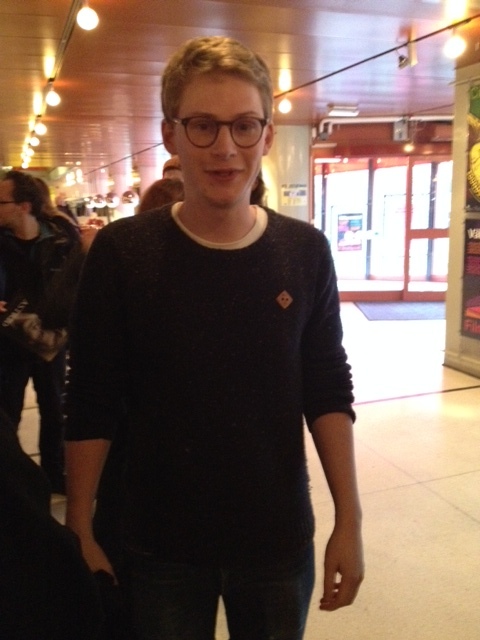 Johan Palmberg, great grandson of Astrid Lindgren and member of the Astrid Lindgren Memorial Award jury. 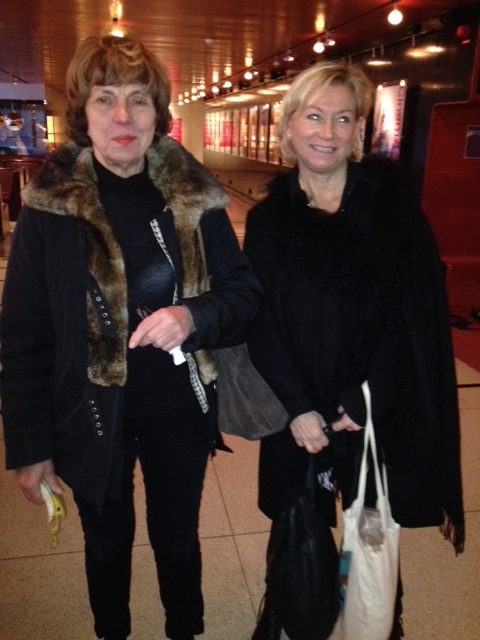 Marianne von Baumgarten and Annika Lindgren, granddaugther of Astrid Lindgren. “There are all sorts of reasons why fairytales are important, and interesting and valuable to us”, says 2005 ALMA Laureate Philip Pullman in an interview with BBC Newsnight’s Kirsty Wark. Two years ago Pullman released his version of the Fairytales from the Brothers Grimm (Penguin, 2012), a book which have been described as a fresh, sparkling collection of the finest stories from the Brothers Grimm, hand-picked by an author perfectly suited to the task (Library journal). Last week the Grimm Tales for Young and Old opened at Bargehouse on London’s Southbank – a “brand new immersive storytelling experience”.